Is the Iran deal the greatest deception operation in history? Home World News Is the Iran deal the greatest deception operation in history? Is the nuclear deal with Iran actually the greatest deception operation ever executed? I’m not saying I believe that, but I read something today that made me wonder. What we know about the nuclear deal is nearly impossible to accept. 1. Any limitations on the amount of uranium Iran can enrich will expire in the future. 2. Iran is allowed to delay any inspection by 24 days. 3. The only punishment for all Iranian infractions is the reestablishing of economic sanctions, an impossibility. 4. All contracts signed by Iran before sanctions are reimposed are immune. 5. If sanctions are reimposed, Iran considers the entire agreement null and void and will be allowed to pursue nuclear weapons. 6. ALL energy, financial, transportation and trade sanctions are lifted. 7. In five years, the embargo on conventional arms will be lifted. 8. In eight years, the embargo on delivering ballistic missiles will be lifted. 10. The G5+1 nations commit to training Iran in defense against sabotage of their nuclear facilities. 11. The G5+1 nations commit to helping Iran in energy, finance, technology and trade. Iran’s illicit nuclear facilities Natanz and Fordow, whose operations were supposed to be shut down under multiple U.N. Security Council resolutions, have now been legitimized, despite the fact that they were built covertly in violation of the Nuclear Non-proliferation Treaty. Iran is essentially rewarded for cheating under the agreement. It gained a better deal on uranium enrichment than Washington has offered to its own allies. Taiwan, South Korea and the United Arab Emirates were denied enrichment arrangements that Iran now has pocketed. This week brought the stunning news that Senator Tom Cotton (R., Ark.) and Representative Mike Pompeo (R., Kan.) had discovered, during a meeting with IAEA officials, the existence of secret side deal between the IAEA and Tehran — a side deal that will not, like the main nuclear agreement, be shared with Congress. So critics of the agreement were understandably eager to hear an explanation from Secretary of State John Kerry when he and other senior administration officials testified before the Senate Foreign Relations Committee yesterday. The hearing produced a new bombshell: In its investigation of Iran’s past nuclear-weapons-related work, the IAEA will rely on Iran to collect samples at its Parchin military base and other locations. 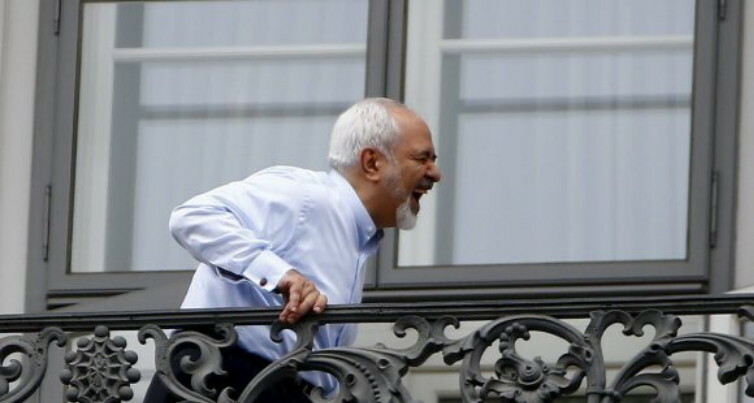 This is why Iranian Foreign Minister Mohammed Javad Zarif was photographed thusly. This is what I find so hard to believe. I’m not a supporter of President Obama, but neither he nor Secretary of State John Kerry are insane or stupid. None of the European leaders are insane or stupid. If Iran acquires nuclear weapons, that’ll throw the entire region into chaos and threaten the US and Europe. What are the chances that President Obama and any European leader would use military force against Iran? The report shows that the Arab Gulf states already have a massive lead over Iran in virtually every aspect of conventional arms, except total military manpower. It also shows that the U.S. strategic partnership has delivered some of the most modern weapons in the world to the Arab Gulf states, and that equally massive new transfers are underway. (See pages 543-597). In broad terms, the Arab Gulf states in the Gulf Cooperation Council (GCC) have spent at least six times as much on conventional military forces since 1997, and the Arab Gulf lead has steadily widened. Estimates for 2014 are uncertain, but the GCC states seem to have spent some $114 billion on defense to roughly $16 billion for Iran. Saudi Arabia alone spent about 5.5 times more than Iran on its military and the United Arab Emirates spent almost twice as much as Iran during this period. And, as a whole, the GCC combined spent just over 9 times more than Iran on its military. The U.S. Congressional Research Service (CRS) estimates that Iran received $3.4 billion in new arms deliveries during 2004-2007 and $800 million in 2008-2011, and generally did not have access to advanced modern arms. The Arab Gulf states received $22.6 billion in new arms deliveries during 2004-2007 and $15.9 billion in 2008-2011. If one looks at the totals for 2004-2011, Iran received $4.2 billion in arms transfers and the Arab Gulf states received $38.5 billion – over nine times more, and they had access to some of the most advanced arms available. The U.S. Congressional Research Service also estimates that Iran spent $2.1 billion on new arms orders during 2004-2007 and $300 million in 2008-2011, and again generally did not have access to purchases of advanced modern arms. The Arab Gulf states spent $30.5 billion on new arms orders during 2004-2007 and $75.6 billion in 2008-2011. If one looks at the totals for 2004-2011, Iran placed $2.4 billion in new arms orders and the Arab Gulf states spent $106.1 billion, and again, the Arab lead grew strikingly during 2008-2011. The Arab total is well over 40 times that of Iran. The Arabs and Israelis have been saying in plain language that they’re going to attack Iran and destroy its nuclear facilities. It’s clear that if the IDF and the Gulf Cooperation Council carry out a joint operation, the war will be over in days. Iran doesn’t have even a ghost of a chance. 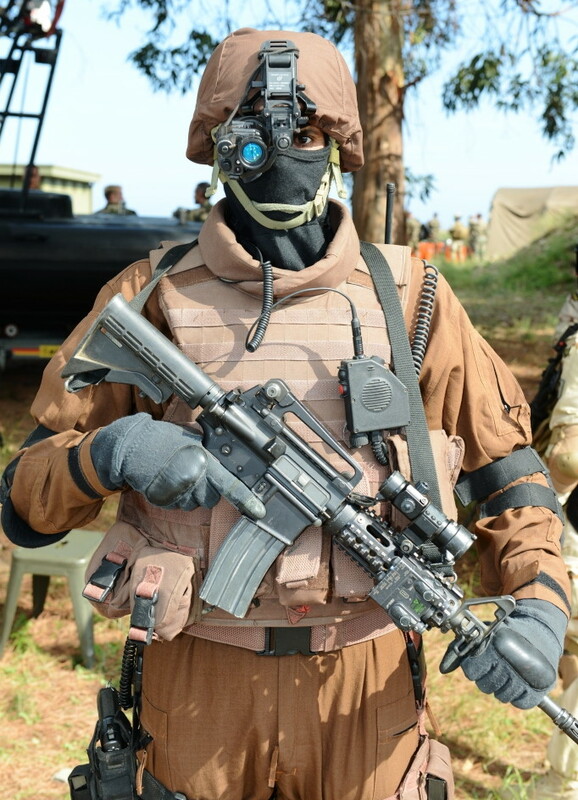 The Arab League just created a rapid-reaction force of 40,000 special operations-capable paratroopers. That’s four times as many special operators as were used in the entire Iraq war by all nations combined. Guess who trained these Arab operators? Britain, France, and the US. 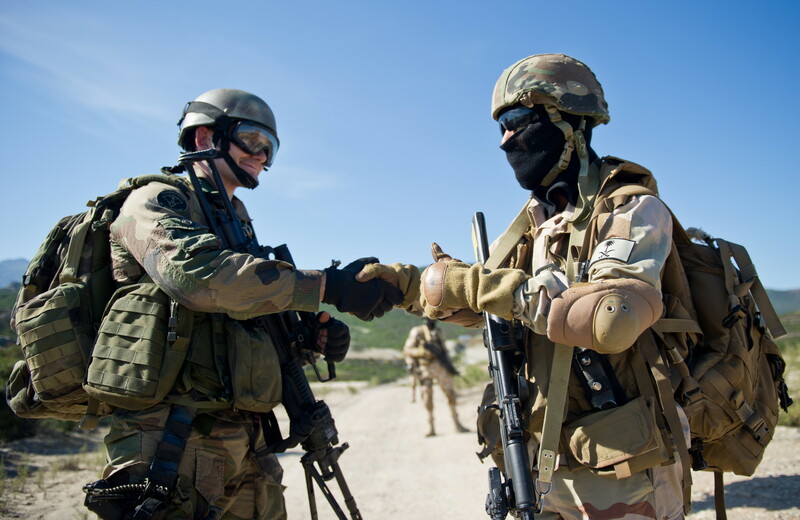 While President Obama has said that war with Iran would be terrible, he and the Europeans made sure that the Sunni Arabs have the weapons and training to win such a conflict. ISLAMABAD: Prime Minister Nawaz Sharif in a telephone conversation with Saudi Arabia’s King Salman bin Abdulaziz Al Saud discussed the recent developments on regional and international fronts. According to a report issued by the state-run Saudi Press Agency (SPA), during the telephone conversation on Saturday, Nawaz expressed full support for the Kingdom of Saudi Arabia in the ‘Determination Storm’ operation, asserting that “all potentials of the Pakistani Army are offered to the Kingdom of Saudi Arabia”. 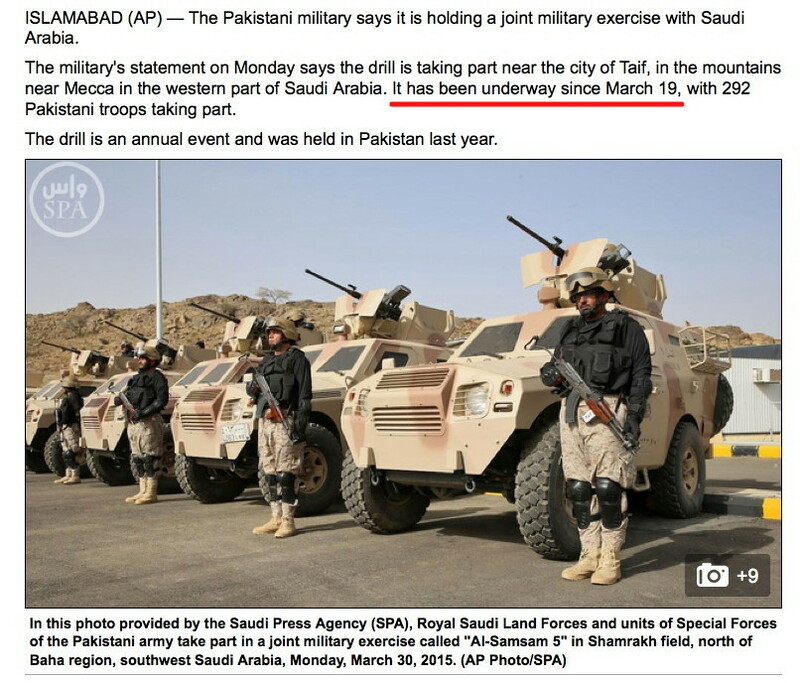 Earlier this year, Saudi Arabia and Pakistan held a joint training exercise called Al-Samsam 5. Here’s what al-Arabiya said. Well, no. In reality the Pakistanis were special operators. 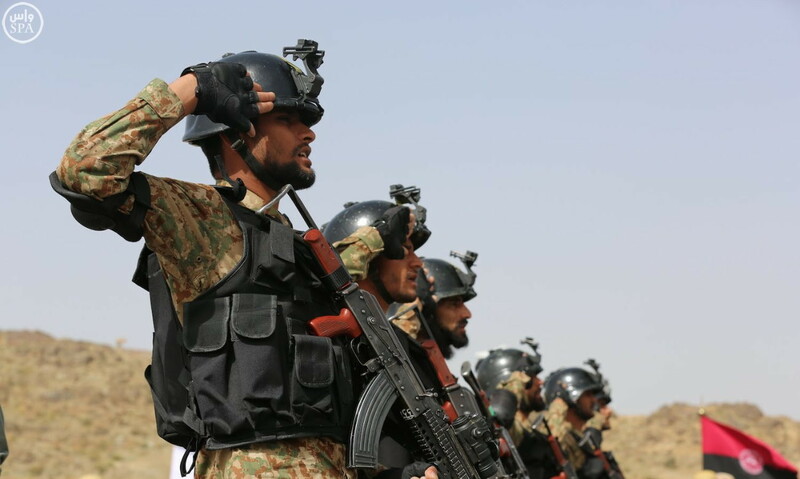 Their black helmets identify them as men of the Special Services Group (SSG), one of the top operator units on earth. Those trucks are used for long-range incursions into enemy territory. Officially Al-Samsam 5 began on March 30, 2015, but the Daily Mail let the cat out of the bag. 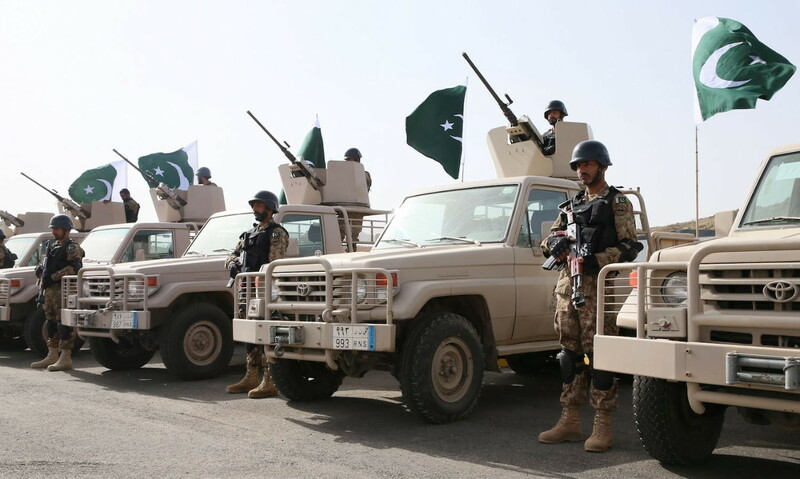 The Pakistani and Saudi special operators trained for a month in mountain and urban warfare. That’s one hell of a long exercise. Rapid Trident is a NATO exercise being held right now. It involves 18 nations including Ukraine and is scheduled for July 20 to 31. Eleven days. Foal Eagle is the largest annual military combined field-training exercise in the world. The US and the Republic of Korea train vigorously…for a month. 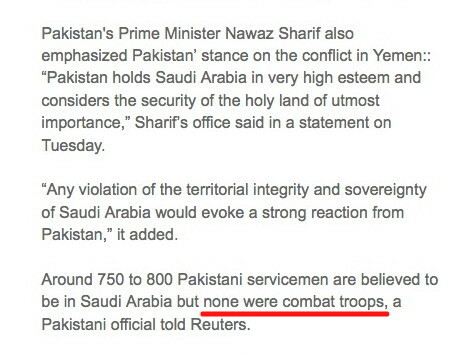 So the Saudis and Pakistanis aren’t kidding around. 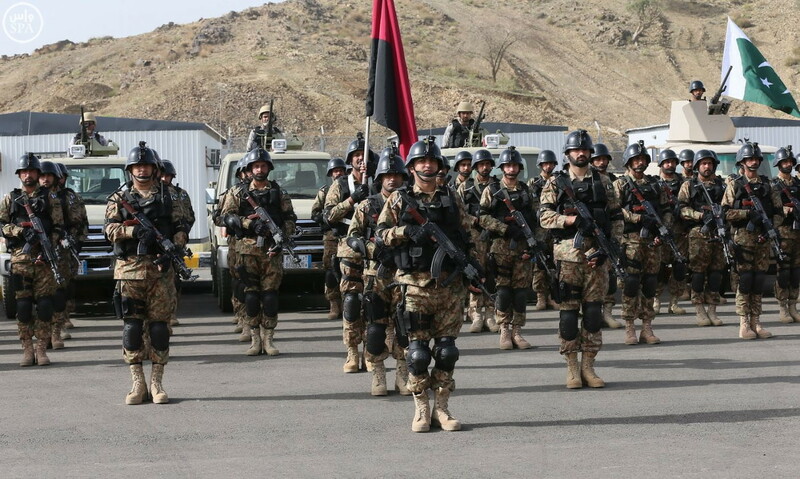 A battalion (800 men) of the Pakistani SSG would wreak absolute havoc in Iran. Despite how crazy this theory sounds, my gut tells me that I’m right. If you want to guarantee a war that will change the entire balance of power in the Middle East for the better, this farcical nuclear deal gets the job done. Another factor is public discourse. Compare how people behave today with how they were in 2003. Nowadays a plurality is proud to be ignorant blowhards who want only to destroy all structure and order. They simply spew childish hate. It would be impossible for the US and the Europeans to use military force on Iran. However, the Arabs, Pakistanis, and Israelis aren’t afraid of morons full of passionate intensity. The Arabs, Pakistanis, and Israelis don’t care about their “legacy” or being called names by cretinous loudmouths. I have to say this: President Obama and Secretary of State Kerry, if this is indeed a deception operation, it’s brilliant, and you’re to be commended. You have my utterly thunderstruck admiration. It’ll work spectacularly. Against all odds, you figured out the one way to solve this issue permanently.